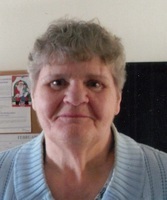 Provide comfort for the family of Janet Lamoureux with a meaningful gesture of sympathy. Our family announces with great sorrow the peaceful passing of Janet at her residence in Finlandia Village on Thursday, February 7th, 2019 at the age of 78. Janet will be missed by her children, sons David James (Lynn), Danny James, Randy James & Steven Charlebois (Marta), daughter Michelle Charlebois & step son David Charlebois (Semone). Janet is also survived by her grandchildren, great grandchildren, nieces, nephews, sisters, brothers and many friends. Predeceased by her loving husband Fern Lamoureux Wednesday, July 24th, 1991. As per Janet’s request there will be no public visitation or service. She will be cremated and a celebration of life will be held at a future date. We would like to thank all the staff at Finlandia Village who made Janet’s life easier and kept her safe until the end. To send flowers in memory of Janet E Lamoureux (Mills), please visit our Heartfelt Sympathies Store. Consider providing a gift of comfort for the family of Janet Lamoureux by sending flowers.